Recently restored by the Kohler Foundation, the Hartman Rock Garden is one of the most intriguing and revered works of in situ folk art, an outsider art phenomena where self-taught artists construct fascinating worlds out of concrete, metal, stone, and whatever else they can find. 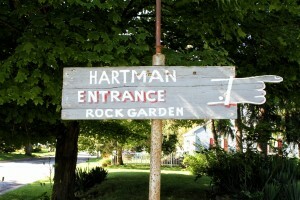 Ben Hartman liked to work in the backyard. 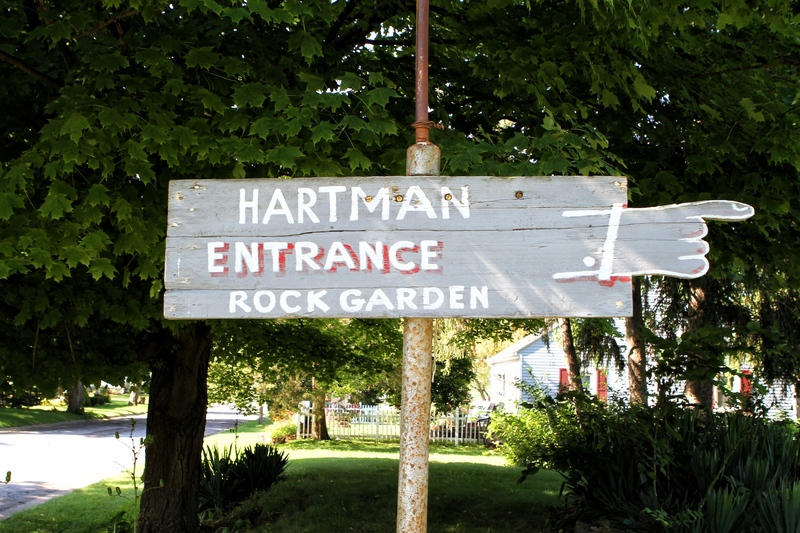 It was the Depression, and paid work was scarce, so he put his time, and not a little money, into a series of sculptures and tableaus that came to be known as the Hartman Historical Rock Garden. There’s a castle along the back fence, a Last Supper, the Liberty Bell, Valley Forge and Columbus’ birthplace. Ben the younger remembers it as a yard that was hard to mow around, but one that is definitely in a class of its own.